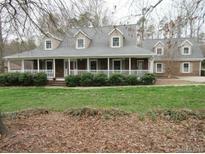 Find Albemarle, NC Homes for sale. View Photos, Maps and MLS Data Now! River Run - Priced to sell! VIDEO LINK https://vimeo.com/331653016 MLS#3498884. DW Realty Team Inc. Very nice storage building/workshop, located in the back yard, is wired for electricity and has water as well. Plantation shutters throughout the home. MLS#3498411. Four Seasons Realty. Tons To Offer! A Must See! MLS#3498606. Deeter Real Estate. This house has so much to offer you must come see to appreciate. MLS#3497579. Deeter Real Estate. It has been a rental property for a number of years and could use some TLC! MLS#3498017. Four Seasons Realty. Replacement windows with a double carport. Very cute home. MLS#3498131. Four Seasons Realty. Freshly painted. Large private pool to enjoy. MLS#3497045. RE/MAX Town & Country. Small outbuilding conveys; larger outbuilding right of the driveway, will not convey. MLS#3494141. Shelton Real Estate Center LLC. Cute little house with large rooms, shared garage area and small outbuilding. MLS#3495946. Shelton Real Estate Center LLC. Cathedral ceiling, open floor plan, a must see! MLS#3495373. RE/MAX Town & Country. More or less land can be bought with house MLS#3494886. 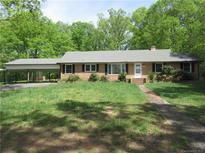 Whitley Realty, Inc..
You won’t be disappointed when you see all this home has to offer for the price. MLS#3491063. RE/MAX Town & Country. Home has a large den and a large living room, either one of which could be converted into a 3rd bedroom. MLS#3494895. Whitley Realty, Inc.. Proof of funds or pre-approval letter required at time of showing request. MLS#3494552. RE/MAX Town & Country. Anderson Heights - Property also includes a nice storage building in the back. Move in ready! MLS#3494559. Whitley Realty, Inc..
Cedar Knoll - Also under 10 minutes to your local Walmart, new Chic Fil a. MLS#3492104. EXP REALTY LLC. You'll love the sitting room off the master! MLS#3493006. RE/MAX Town & Country. Property tax card lists the house as a two bedroom, 1 bath home... after checking with central permitting, there are no records on file for additions nor septic info. Driveway is a shared driveway. MLS#3492984. Shelton Real Estate Center LLC. 2 bed, 1 bath, new floor covering, appliances included, replacement windows, front porch, convenient to shopping, has a country feel. Freshly painted, easy to show. MLS#3492466. RE/MAX Town & Country. Driveway is owned by the seller but the house to the right has legal access to use it as well. MLS#3492094. Four Seasons Realty. **Multiple offer situation - Highest and Best by 4/5/2019 at 9:00 am ** MLS#3491645. RE/MAX Town & Country. This house has tons of potential! Don't miss this opportunity! ! MLS#3490405. Deeter Real Estate. 3rd bedroom does not have a closet. MLS#3490402. Deeter Real Estate. Property is being so "As Is" Seller will make no repairs. MLS#3490081. Four Seasons Realty. Home is being sold as is. MLS#3490217. Four Seasons Realty.